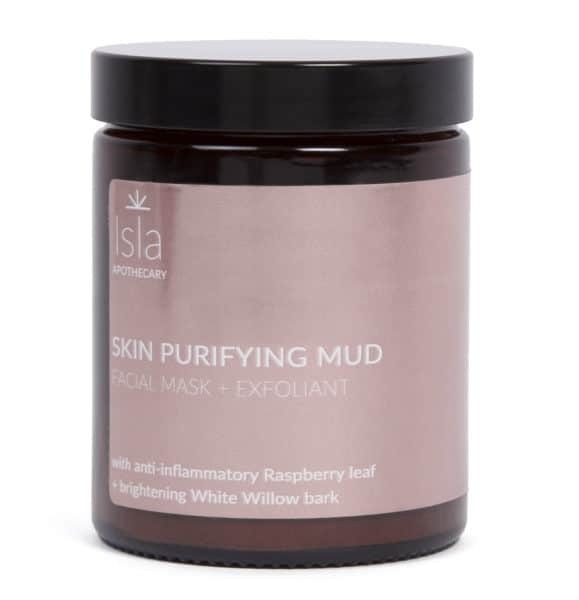 From British brand Isla Apothecary come two new additions to its clean beauty range: Skin Balm and Skin Purifying Mud. 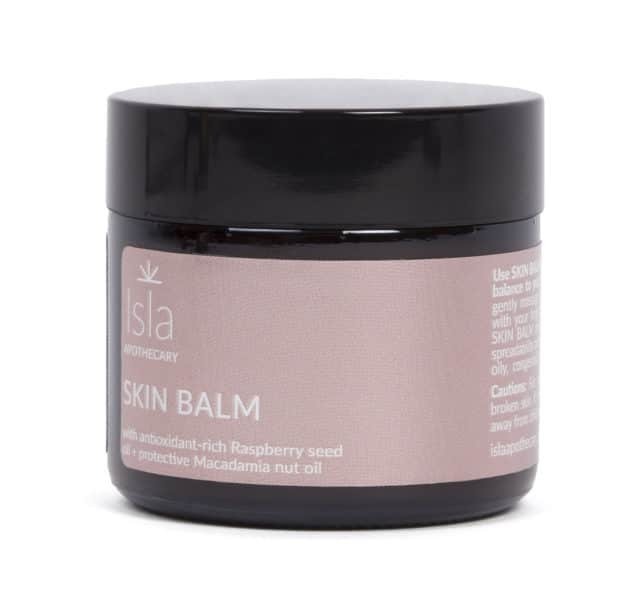 A medley of pure, cold-pressed fruit, nut and plant oils, Skin Balm combines potent essential fatty acids and vitamins which are vital to skin health, including macadamia, hemp, raspberry and plum. The brand says an abundance of carefully curated ingredients have synergized into a lightweight, non-greasy multi-purpose product which can be used as a facial cleanser, moisturizer or primer. 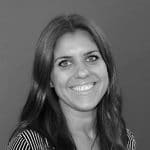 Designed to energize and support the skin, the balm offers antioxidant protection to hell keep the skin in balance and prevent inflammation, advanced ageing and weak barrier function which can lead to ‘tired looking skin’. 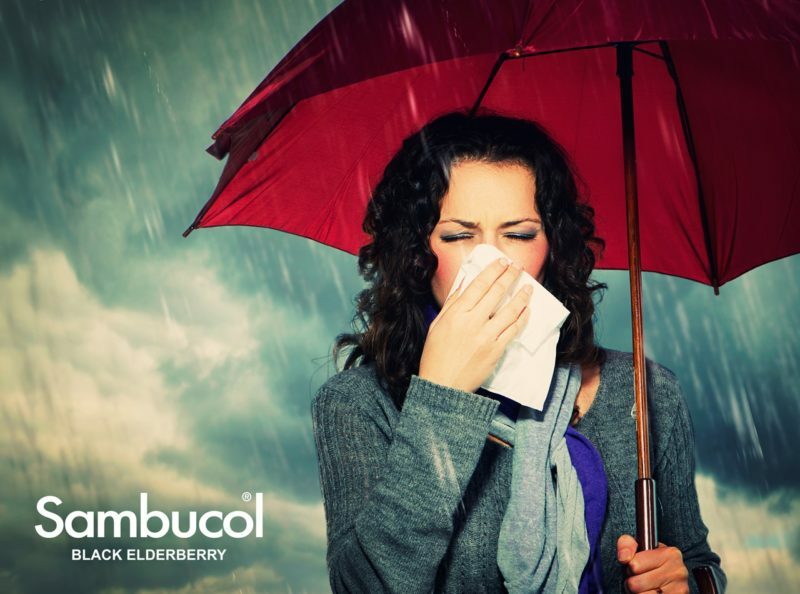 With a texture created by combining the carrier oils with rice bran wax – a naturally binding agent – Skin Balm melts into the skin upon contact, taking on a silky consistency which aids rapid absorption and allows the balm to spread easily. The addition of Isla Apothecary’s in-house calendula infusion brings potential relief to various skin conditions – eczema, psoriasis, insect bites, minor wounds, and burns – while the formulation is also designed to defend against damaging radicals that arise from environment stressors and diet. Also new to the range, Skin Purifying Mud is made with ‘multi-tasking, therapeutic botanical extracts’ (including fruit peel, flowers, herbs and spices) against the foundation of a balancing rhassoul and kaolin clay base which can either be used as a mask or an exfoliant, independently or in stages. 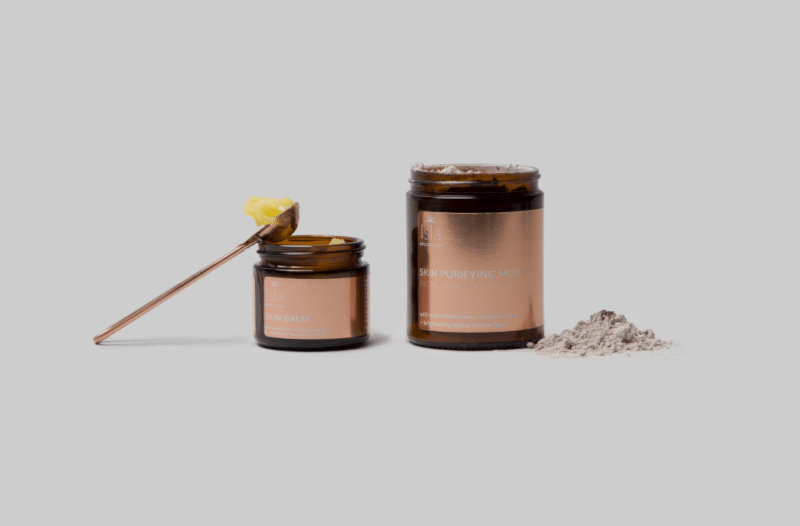 As a mask, it blends anti-microbial and anti-inflammatory rich ingredients such as yarrow and rosehips to draw out impurities via a deep cleanse. Compounds from lemon balm and orris root access the deeper layers of skin, acting as a protector against everyday skin stressors. As an exfoliator, this product targets acne-prone skin and infected skin with salicylic acid – a derivative of white willow bark – and can be used to encourage a natural collagen boost.